The Order of the Long Leaf Pine is the highest honor bestowed upon a civilian by the governor for extraordinary service to the state. 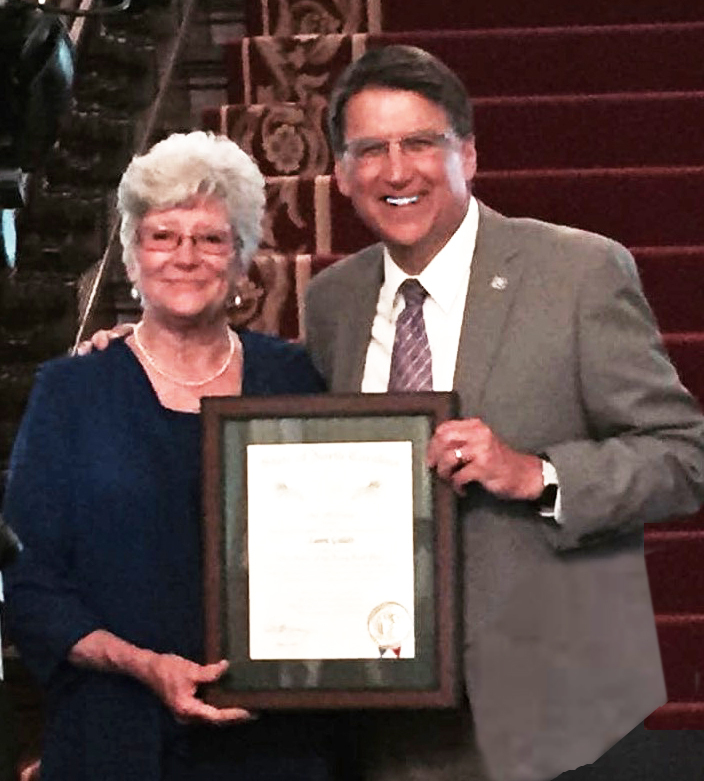 On Monday May 9th 2016, Laura Gaddis, Guardian Angel founder and CEO, was presented the award by NC Governor Pat McCrory for her undying pursuit to fund Alzheimer’s Research and Respite Care within the state of North Carolina. About 200 people were on hand for the award presentation at the Executive Mansion in Raleigh including family, friends, co-workers, dignitaries and Alzheimer’s research scientists who have benefited from funds generated by Guardian Angel Thrift. Miss Laura joins an elite roster of those who have received the award, including: Andy Griffith, Michael Jordan, Oprah Winfrey, Rev. Billy Graham, Maya Angelo, Dale Earnhardt and more. Congratulations Miss Laura! You are a daily inspiration to us all! President/CEO, G-Global Protection Solutions Inc.